Always keep your eyes on the derryX Events page! You never know what might pop up there. One event that’s been there since its inception was Yoga Reaches Out. 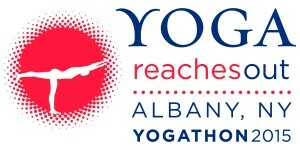 That’s going to be a big event held at Siena College bringing together many of the local yoga community to raise funds for a number of charities. It’s expected that over 500 people will be participating that day. Since I’ve been networking within the yoga community, it’s a no-brainer that I’ll be there. I’ve even reached out to a handful of local eateries I love to see if they would like to have a table in the Marketplace. My understanding is that the event will consist of a number of workshops, classes, and other activities while a Marketplace with local vendors is going on, like yoga going on around a farmers market. That sounds like a fun day to me! I joined my friend Rebecca’s team (Heartspace Yoga). If you’d like to join our team or donate to us, here’s the link to do so. I’d really like to encourage anyone to come, even if you’re not into yoga. I think that Marketplace is going to turn out to be something truly great, and a lot of the studios that veer away from traditional yoga are going to be represented, so you might find a new way to train. I took a few minutes to make a YouTube video explaining why I’m so excited for this event. If you’re going, let me know. I’m hoping to get a small group of friends together for a lunch break in the Marketplace. We can talk about where I’ve been dining lately!